Hey, I’ve espresso brown interior with iridium silver. I’m a bit torn between getting the carbon fiber trim or designo black flame open pore ash. 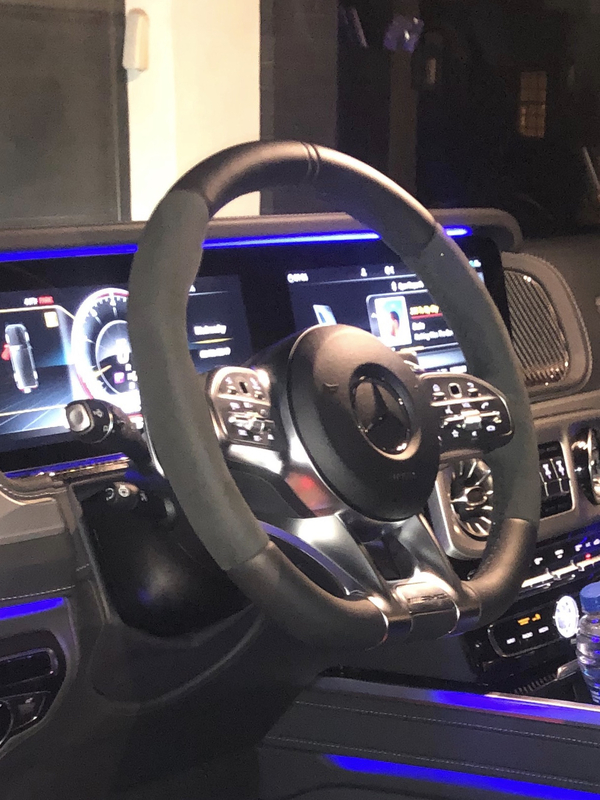 Carbon fiber seems to be a bit overdone on an suv like g-wagon but I like the steering wheel (no open pore ash wood option for steering wheel rim). I’m very much aligning towards keeping open pore ash vs carbon fiber, however, would be best to hear y’all opinion. What do you think, a or b? ZG6 has the alcantara which is a negative for me. Have it specd on my car now but am going to change it to the all leather wheel. May have carbon added to leather wheel later. not sure. I’ve had both in prior AMG models. The open pour ash actually looked cheap on the larger flat surfaces in my wife’s C45. Her new GLC63 went with carbon fiber and looks elegant. Depends if you want a luxuary look or rustic. We had a tough time deciding this as well. We went with espresso brown, black piano lacquer, and the L6K steering wheel. Tough time deciding between the black and silver exterior but ultimately went with black. I thought the piano lacquer blended nicely with the other gloss black plastics around the center console and dash. Personally thought with the two tone espresso brown/black interior, adding another contrasting material might look a little too loud. Really depends on your preferences because I think all would look great. I also, semi reluctantly went with the L6K steering wheel for one reason: it's the only steering wheel where the center airbag is covered in leather. If you look closely, all the others still have a plastic material airbag cover. I have the carbon fiber in my '18 G63 with the piano black steering wheel. Great combo!! I've been checking autotrader for pictures of the steering wheels but have only seen the standard wheel, and the pictures aren't very good as far as seeing the details of the wheel. If I end up finding any, I'll post them. Yep, I noticed L6K as well only due to its central airbag part is covered with leather but it comes with Dinamica... dinamica might look ok given the headliner is the same. 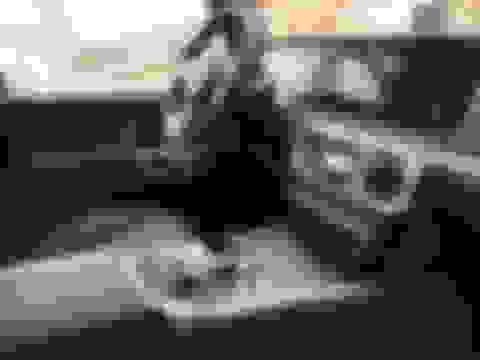 Last edited by Festertester; 02-06-2019 at 09:47 PM. 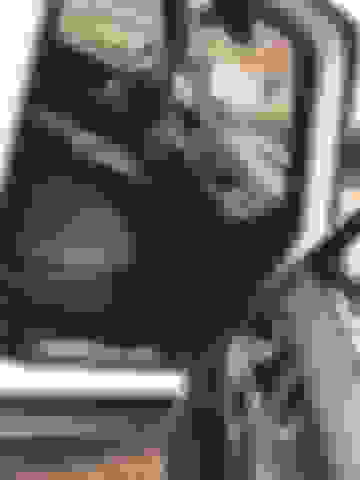 Last edited by Festertester; 02-06-2019 at 09:56 PM. Very nice find! Glad I ordered it. Looks so much better covered in leather. It really should be standard on all of them, especially when you order the exclusive interior package. I would vote for the designo black flame open pore ash, I ordered it on my wife's 2019 G550 and I just put in my order for my black matte 2019 G550. Carbon Fiber is shiny and in my option, way over done. It used to be cool, but now, again, in my opinion, it's not. I agree. I would go with open pore ash for your config. I personally only like carbon fiber in sports cars. From this picture it looks like the L6K isn't covered in leather after all on the G. This is a friends friends g63 he just got. Very strange that the same code on the S class where it is covered and the g class DOG shows it covered. MBUSA build configurator is finally up and it shows the L6K steering wheel covered in leather...but I've seen a few online now and they're not. Wondering if the new/current builds will have them. Last edited by Tjandegi; 02-08-2019 at 01:23 AM. That’s what I was worried about. If that’s the case, I’d rather keep standard wheel. When are you expected to get yours? Build is 3D of March so looking at an early May delivery. I'm think of switching to the standard if I still have time. Yours? Not a fan of black pore ashe personally. CF is nice but I only like them in my sports car. I got piano black on my current g63 so I switched it up to the metal weave for the new order. Haven't seen it yet tho. No one likes it here? Good find on the airbags. IIRC, on all the S-classes, the airbag is dependent on whether if you get exclusive pkg or not. At least the stitching for sure and well, if they have to use the stitching, it's going to be leather. Only thing that's odd is all ED1 are plastic. Last edited by johndong888; 02-08-2019 at 11:28 AM. 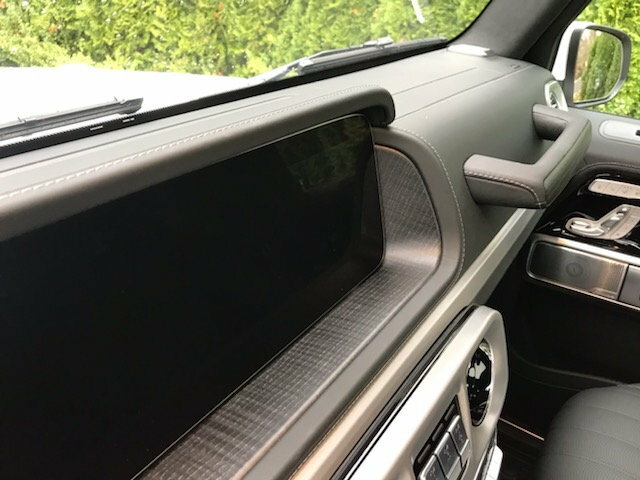 IMHO metal weave looks a bit artificial and cheap - piano black is a good option but closest to iridium silver exterior is black pore ash for me. re steering wheel, I’m disappointed that MB isn’t including stitched leather on the airbag cover and I really think dinamica/alcantera is for sports cars so I’m definitely going back to standard amg steering. If I get piano black, I would’ve gone for Plano black accent steering wheel.. I have piano black in my 2015 G550. It's super shiny, and as interior designers will tell you........gloss = cheap look. Gloss is out. That's what matte paints are coming back (or at least satins). For interiors of homes, even flat paint for kitchen cabinets is the new trend. We got the designo black ash in both our 2019 G550s and it's great. Also piano black shows everything: dust, finger prints, etc. It's almost impossible to keep clean and fresh looking.